Arizona Courier Insurance – Programs Available From Numerous Vendors! 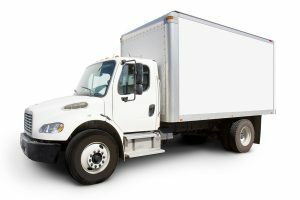 Do you need coverage for your box trucks? For the best programs available for Courier Insurance in Arizona on the market right now contact Pathway Insurance at 800-998-0662 Mon – Fri 9 AM to 5 PM CST. As an independent agency, Pathway Insurance can provide you with free Arizona Box Truck Insurance Quotes from a number of insurance companies offering commercial trucking insurance. That way you can choose the best coverage and prices being offered. We offer Courier Truck Insurance in the following states: Arizona, Kentucky, Ohio, Indiana, Tennessee, Missouri, Wisconsin, Michigan, Texas, Colorado, New Mexico, Illinois, Florida, Georgia, and Maryland. Click the chat window at the bottom-right to chat live with an agent before 5 PM, or select a location from the list below to launch our simple online quote request form any time day or night. Arizona Courier Insurance – Why Should You Read Your Policy? “Gullible” Gill O’Grady owns a small fleet of refrigerated trucks. He is known by his friends and employees as “Gullible” Gill because his kindness and willingness to see the best in people often leads him to be taken advantage of by unscrupulous and opportunistic people. One day, while performing deliveries of frozen goods in one of his reefer trucks, Gill receives a phone call from his cousin, Frankie. Cousin Frankie has been in and out of jail several times over the course of his life for theft, most notably for multiple cases of grand theft auto. Everyone in the family knows to be wary of Cousin Frankie. Everyone except “Gullible” Gill. Cousin Frankie asks Gill if he can get a ride to the grocery store. Gill agrees to swing by Frankie’s apartment in between deliveries. After picking Frankie up, Gill tells his cousin that he just has to make one quick delivery stop before he can take Frankie to the grocery store. Frankie stops at his next delivery, grabs what he needs from his truck’s freezer, and goes inside the business to drop it off. When Gill returns, his truck is nowhere in sight. “Could’ve sworn I parked here,” he says to himself. Of course it turns out that Cousin Frankie had driven off with Gill’s truck. He intended to cross state lines and sell it under the table, but ended up totaling it while being chased by police. “Gullible” Gill is unperturbed. He submits a claim to his insurance company for the lost truck, expecting a full reimbursement. Unfortunately, Gill’s out of luck. As you can see, Gill’s policy clearly excludes coverage for a truck that is stolen by a relative. Had Gill known this, perhaps he would have been a little more wary of picking up Cousin Frankie while on the job. Courier Insurance Arizona – Give Us A Call Today At 800-998-0662. If you are interested in receiving quotes from multiple insurance providers on Arizona Courier Insurance then give us a call today toll free at 800-998-0662. Our licensed and experienced agents are equipped with the tools necessary to help you find the coverage you need at an affordable price. In fact, you may save significant money compared to what you are paying currently for coverage that is less comprehensive than the policies we may be able to secure for you! The only way to find out whether you could be saving big money on your insurance premiums is to request a quote from our agency. Click this button to request a free quote on truck insurance in your area! Insurance can be tedious. At Duncan and Associates Insurance Brokers, we make insurance fun! Contact us today to see for yourself.